The Football Front: Brendan Rodgers: The man who needs time, lots of it..
Brendan Rodgers: The man who needs time, lots of it.. In a nutshell, that’s what Liverpool have done. Liverpool have appointed an untried, young and modern manager and of course, the reality is, Brendan Rodgers is a risk. A huge risk. But like most of FSG’s appointments in recent times, they leave the Liverpool fans experiencing two extremes. Some have called Liverpool’s decision to appoint Rodgers as shrewd. While others have labelled it an avoidable short-sighted catastrophe given more pedigreed managers such as Rafa Benitez and Andre Villas-Boas were knocking about. Common sense will tell you Rodgers, with better technically gifted players at Liverpool will be able to implement and succeed with his way of playing the beautiful game. But with the same token, the players play the managers game. Not the manager. The Liverpool players must buy into Rodgers ways of doing things and the way he wants to play. I think this could be one of the hardest challenges Rodgers faces at Liverpool. 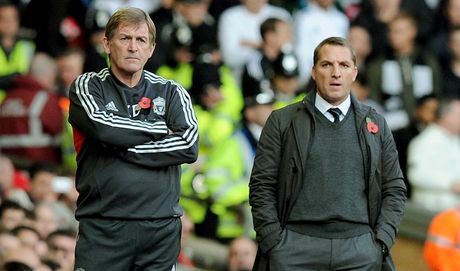 We’ve got to remember, Rodgers was brought in to replace King Kenny Dalglish. A man who was not only idolised by the players, but his rapport with the players was clearly very strong too. Rodgers first challenge is to get his players onside. But it could be relatively straight forward for him. Top footballers want to play beautiful football, so players may buy into his way of doing things. But the players wont suddenly play like Swansea, time is needed. Brendan Rodgers is a modern manager at a club looking to make its way in the modern world of football. But modern world of football often demands instant success. Patience has no virtue in the footballing world no more. Liverpool must give Brendan Rodgers time. He needs patience. His football philosophy is very hard to implement, especially in the fast paced Premier League. However there is hope for Rodgers, the club have shown over the past two seasons they can knock the ball about just as good as anyone. But doing this week in, week out is another matter. Rodgers states again and again in his press conference that his team won’t play in his image instantly. The players need to adapt to Rodgers vision of the game and have a full understanding of their role in the system. It could take months or even years. What’s interesting is Rodgers says he failed at Reading as he ‘changed too much too quickly’ in terms of Reading’s style. The Northern Irish manager is fully aware that he will have to be patient, he will have to be methodological in his changes and he has deal and manage with the high expectations while he is forming his brand of football onto Liverpool. Rodgers himself admits, ‘There will be some additions to improve and improve our way of playing as well.’ It can’t be stressed how crucial Brendan Rodgers signings are. They have got to be more successful than the last batch of Dalglish signings. (Some may think that’s not much of a challenge, as Dalglish’s new imports were dour.) But as Rodgers states, it’s important he makes the right signings so he can imprint his identity more smoothly and effectively onto the club. Brendan Rodgers passed his first test in being Liverpool manager. He successfully dealt with the press in an astute manner. Rodgers said he would ‘fight for his life’ for the supporters and stated, he was ‘blessed’ in getting the Liverpool job. Even Liverpool fans who were entirely unsure on Rodgers abilities felt like they had a man who is just as determined as them to be successful again. Rodgers later on admitted, ‘We might not be ready for the title now but the process begins today.’ The new manager’s ambition and desire to be successful has already won over quite number of critics and Liverpool supporters. But the reality in football is, as much as Rodgers has won over some fans through his words, he can win and lose fans a lot more on the pitch. 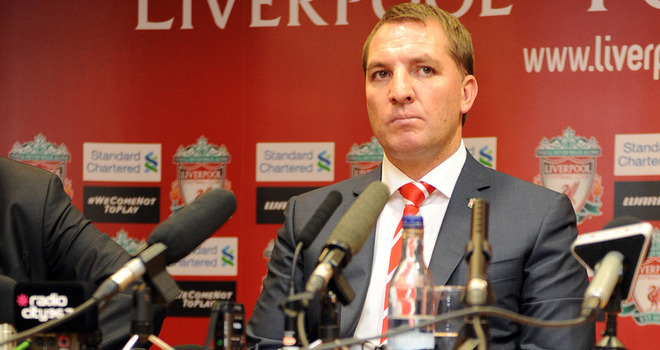 Brendan Rodgers needs two things early on in his reign at Liverpool. He needs time and a chance to be successful. All through history, football has proved, give a relatively unknown manager, ambitious manager a chance and he will succeed. Prior to moving to Liverpool, Bill Shankly had never won a trophy as a manager of a football club. But when he moved to Anfield he was given the chance and he paid the club and its fans back in abundance. The same could be said about Arsene Wenger, Jurgen Klopp and Rafa Benitez. These are all managers who had not achieved a great deal prior to their big club moves. The Liverpool faithful need to know it wont be easy especially in the first year of the Rodgers era. There certainly will be growing pains, but the fans must grit their teeth and continue to support the team and the manager. Liverpool have to build success from the roots upwards. As much as the fans need to give Rodgers the time, the owners do too. With the club in mid-table obscurity and not in the glory land of the Champions League, it of course will have a significant effect on the commercial appeal of the club. The owners must give Rodgers at least three years to build his team. Liverpool can’t attract the superstars of today’s current football world. They must create and develop their own ones, through stability and giving Rodgers the time and the chance. Liverpool, as a collective identity must fight through the rain in order to enjoy the sunshine, or in other words, the club needs to remember, at the end of every storm there is a golden sky.